Experience an amplified, mesmerizing psychedelic world of music. Soundscape VR, an interactive virtual reality music visualizer, might just be the coolest thing you’ve never tried. Powered by your favorite music, here’s a glimpse of what it’s like. Soundscape VR players—from 10-year-old gamers to VR virgins, from new media professors to musicians—have called the game magical, powerful, mind-blowing and quite possibly the most incredible thing they’ve ever done. Five years in the making (since the earliest days of VR), Soundscape VR was born out of a passion for live music, gaming and artistic expression. Soundscape VR evolved beyond traditional lighting and effects used at live shows where the fan is merely a consumer, and offers a space where people can become active participants in the music experience, or rather, creators themselves. Soundscape VR is currently collaborating with musicians to produce virtual concerts and listening parties. 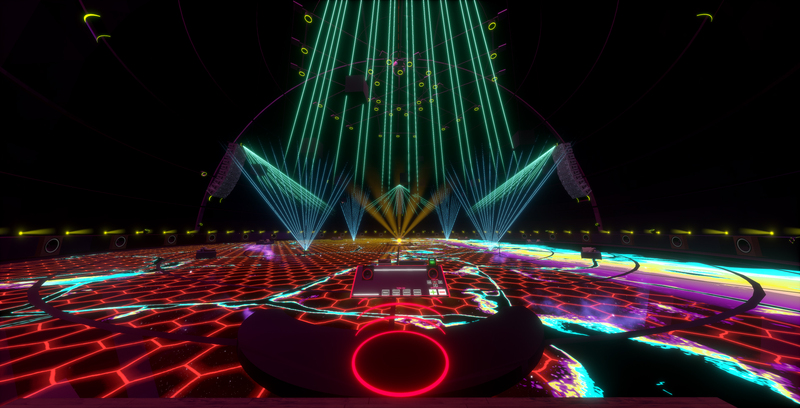 By transporting other music lovers to a secret universe where they can meld with their favorite artists, Soundscape VR is enhancing the relationship between artists and their audience. Soundscape VR is about taking the wildest things possible—dreams that cannot exist in reality due to laws of physics or astronomical expense, transmuting them and make them very real.